Armed with only a backpack filled with valuables, students often traverse through campus late at night, unconscious of the potential dangers that can await them even on a “safe college campus”. But even in seemingly harmless situations, there are many potential threats to a student’s safety, especially on an open campus in the heart of Atlanta. In 2013 alone, there have been 33 reported acts of robbery, aggravated assault and burglary at Tech, according to the GTPD’s UCR crime statistics. This is the overarching message that resonates for the students who advocate concealed carry at Tech campus. As controversial an issue as this may be, students such as those in Students for Concealed Carry (SCC) feel strongly that everyone at Tech should have a fair method of defense in a dangerous situation. “Before living in Atlanta, I never shot a firearm or anything of that nature. Seeing the dangers of our campus is why I work for this,” said Kyle Wilkins, current co-chairman of Students for Concealed Carry, a national organization whose chapter at Tech was created in 2011. “It’s about being proactive and being prepared, thinking about what would happen if I were in that situation,” Wilkins said. For Robert Eager, former chairman of the organization, the campaign was a little more personal. “I approached someone on the edge of campus and someone drew a knife on me and that gave me a big push,” Eager said of an incident that made him more passionate about the concealed carry goal. Eager graduated in spring 2013 and is now southeast regional director of the organization. “People who carry are in a safe group of individuals and have a right to defend themselves. When they come to campus, you are disarming them and they can’t defend themselves… they’re sitting ducks,” Eager said of his stance on the importance of being armed. “Even if police can respond, victims are lost because they can’t defend themselves,” Eager said, who believes that despite the Clery acts, bus systems and active work of GTPD, all of which are more reactive responses, students themselves need to be in control of their own safety. 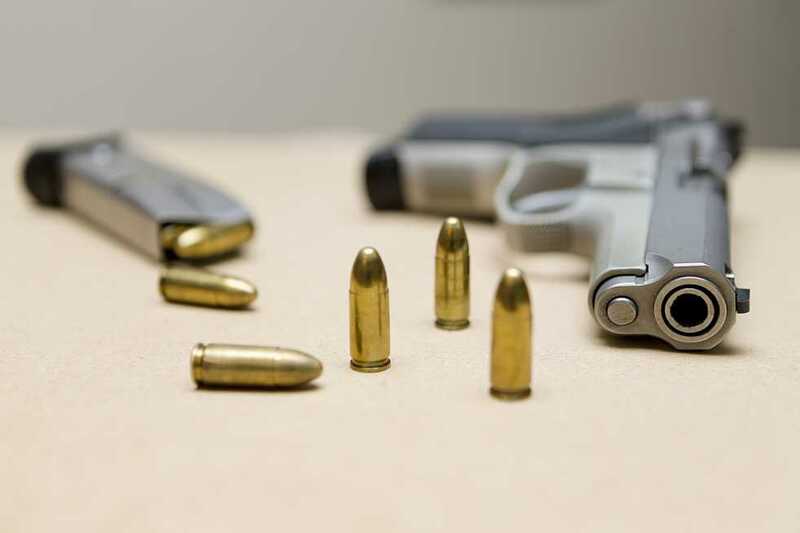 In the past year, the group has gone far in attempting to pass legislation for Tech to implement a concealed carry policy, but the issue “was put on the back burner last year,” according to Wilkins. In spring 2014, the legislation will present campus carry as part of HB512, which is a live bill from the last session. Not all students agree with the SCC, though, and SGA is hoping to gather a substantial set of data on students’ opinions on this issue by that time to gain a comprehensive view of how the student body feels about having concealed carry. “If and when the discussion ramps back up as we approach the start of the session in January, Lucy [Tucker] and I want to make sure we’re prepared with knowledge of the popular student opinion,” said Nick Picon, undergraduate student body president. “Our IT committee is developing a portal for polling the student body, and we plan to use that to gather some data and better understand student opinion on this controversial issue. “If time allows, I think we’ll plan to have another town hall on the issue and also pass a resolution so we can formally determine UHR’s opinion as representatives of the student body. I don’t believe that my personal opinion should define our stance, so we’ll be actively seeking the student body’s opinion so that I can accurately present the student’s body’s wishes to state legislators in January,” Picon further said. SCC welcomes debates from people who think differently on the issue. “We table on Skiles, we debate with campus groups… answer questions and misconceptions,” Wilkins said. They also maintain a good relationship with GTPD, and want to show that they are still students and want to show that they care about campus safety as a whole. “We don’t want people to think that people who would want to carry on campus would be vigilantes,” Wilkins said. Both Wilkins and Eager want to continue pressing for their goals and make sure that they are seen not as proponents of violence, but as protectors of safety.